Rob Liefeld’s Prophet and Glory, revamped. An oft-mocked comics artist gives away his characters—and creates something great. Glory, Prophet, and The Infinite. In the early 1990s, before he quit Marvel Comics, X-Force creator Rob Liefeld was inventing new characters the way Doritos invents extreme flavors. Nearly every issue introduced a new hero (Cable) or villain (Stryfe, Cable’s clone) or five (the Mutant Liberation Front). In 1992, when he joined a big-talent exodus from the company to start the creator-owned Image Comics, Liefeld launched Youngblood—dozens of new characters in one issue, half in one story and half in a backup story. Liefeld’s brand, Extreme Comics, grew from there. As a young comics fan, with only so many Image dollars to spend, I found the churn of new characters exhausting. Glory was the warrior-child of an Amazon and an aristocratic demon—“Greek mythology meets aliens,” says Liefeld. Prophet was a genetically enhanced warrior given superpowers by a time-traveling scientist—“Rip Van Winkle meets OMAC, Captain America, and Silver Star.” DC Comics had Superman; Liefeld had Supreme. But after some early success—for a time in the 1990s Image was where it was at in edgy superhero comics—the books stopped selling, and Liefeld’s mega-men and buxom wenches became the subject of derision rather than awe. 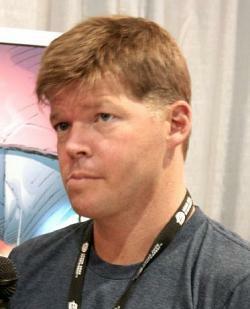 So Liefeld overturned his career—and his creations—again. In 2012 he handed many of his characters to indie writers and artists. The results are shockingly good. 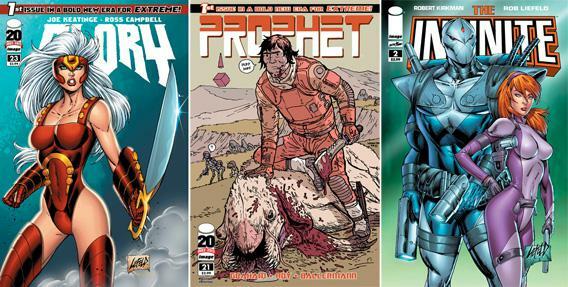 In the hands of Joe Keatinge and Brandon Graham, Glory and Prophet have turned into compelling sci-fi pulp heroes, disemboweling aliens who look like Miyazaki nightmares. Tim Seeley’s new Bloodstrike, about a team of undead assassins resurrected by Uncle Sam, has become an absurdist satire about past-prime heroes. Graham, Keatinge, and Seeley now write what Timothy Callahan has called “post-Extreme” Comics. The “new” Prophet is an enhanced but normal-looking human who crash-lands 10,000 years into the future, who hacks and fornicates and fights his way across an unrecognizable planet. The first city he locates was once an organic spaceship that crashed and got repopulated as it rotted. The planet is orbited by the corpse of “a once feared war giant who fought for this section of the cosmic ocean and lost,” now mined for delicious meat and useful bones. The violence and body horror is illustrated and designed by Giannis Milonogiannis, all of it distant from the original, generic comics. Rob Liefield, American comic book writer, illustrator, and publisher, in 2006. Liefeld’s hero was a pretty recognizable archetype, a pose-striking heroine with a supermodel build. 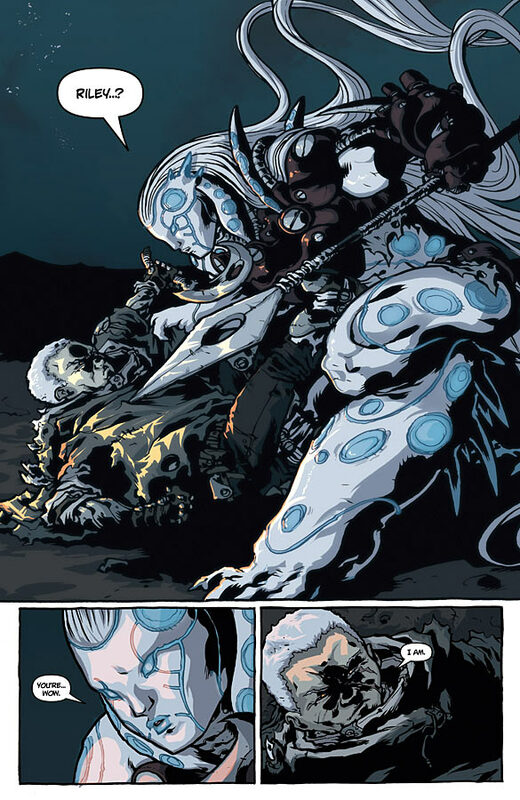 Keatinge’s, as portrayed by Wet Moon artist Ross Campbell, is a hulking white-skinned alien who seems to grow larger and less human whenever she’s needed for some carnage. In a flash-forward, when Riley has advanced to great age, Glory has blank eyes in a human-looking face atop a totally alien body. The biology and history, here and in Prophet, are never fully explained. It’s fantasy, and we buy it immediately. Every copyright holder should be this generous, and this clever.